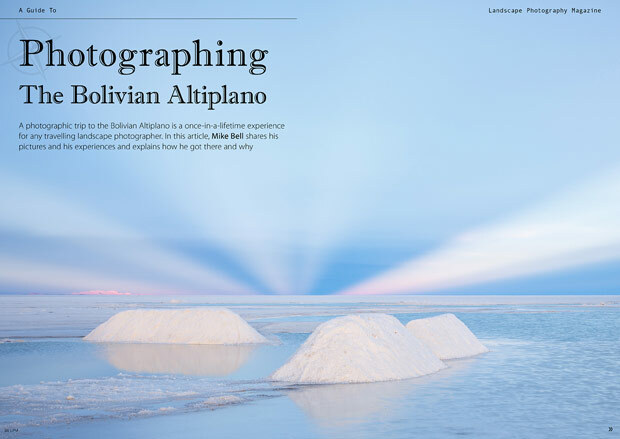 Many of my Bolivian photos have now been published in issue 39 of Landscape Photography Magazine. The article describes how to get there and what to expect. Click on the image below to link to the article (you will need to subscribe to read it all). This entry was posted in Publishing, Travel. I am not a photographer, but just wanted to say how much I love the photos of the altiplano on your website. They are so incredibly beautiful. Thank you for sharing them. Thank you Heidi. Sharing my images is a pleasure.